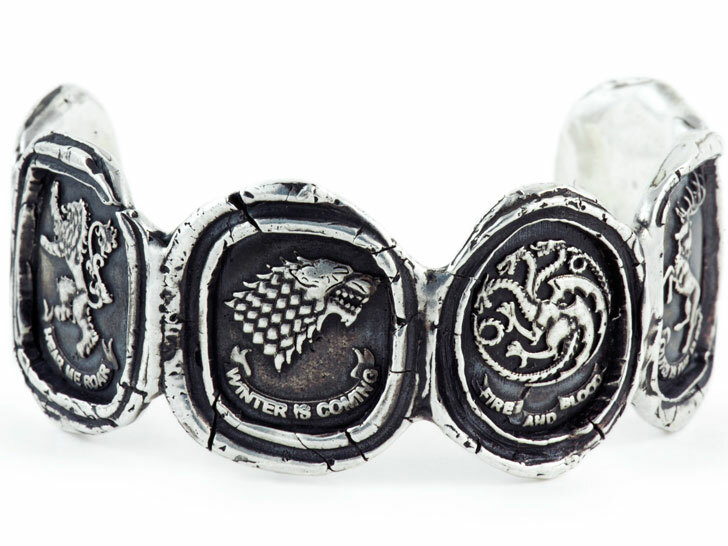 Game of Thrones fans can now declare their loyalties in more ways than one, thanks to Pyrrha's expanded line of rings, bracelets, and necklaces based on the hit HBO drama. Handcrafted in Vancouver from reclaimed sterling silver and bronze, the official Pyrrha for Game of Thrones collection features the shields, sigils, and banners of Westeros's great houses, including Baratheon, Stark, Greyjoy, Lannister, Targaryen, and Tyrell. But while the show—and the books on which it’s based—are fiction, the techniques Pyrrha employs are not. The company uses the traditional art of lost-wax casting to construct the historically inspired, seal-like emblems. “While designing the pieces, we felt it was important to embrace the spirit of this groundbreaking series while still retaining the signature Pyrrha style,” designer Wade Papin has said. 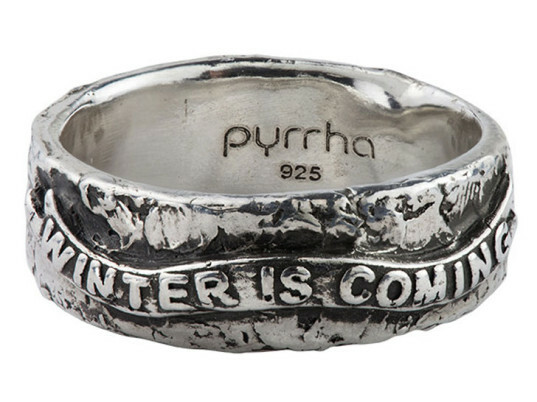 Hello, I want to buy this ring "winter is coming" ! How much does it coast? Thank you for answer!